Anyone who had hoped for a different result in May’s election will be highly disappointed, a disappointment compounded when Gove was appointed the new justice secretary. It says a lot about Cameron when he chooses someone who failed so miserably at education to head up Justice. Does that not show exactly how important he, Cameron, rates Justice. I suppose with less than a month in post it would be unfair to judge the new Justice Secretary but one thing is for sure and that is that the relentless march to privatisation will go ever onward, despite the total failure of the privatisation of the probation service. It’s hard to comment about nothing but so far thatis all thsat has come out of MoJ, a big fat void, I suppose it is a case of wait and see but meantime what rot is setting in? The penal system cannot be left to fester what is needed is total radical reform from top to bottom looking at the system in its entirety not just piecemeal sections. Someone has to say what its purpose is and once that question is answered the Government of the day need to make it fit for purpose which it cetainly isn’t at present. I honestly believe that The Christian Community could play such an important part in prison reform. In my book A LIFE OF SENTENCES I tell how being involved with the Chaplaincy in Lincoln Prison helped me to find a new sense of peace and direction and come to a realisation of what had been driving me for a good many years. There wasn’t a lot pf preaching other than the usual church services but there was great amount of unconditional love and acceptance and to someone who had a criminal past like my own it meant so very much and encouraged me to look at life with a far more open and unrestricted view. The reality is that if we all applied true Christian principles to those we come to know as offenders both they and we will benefit greatly. There is a great deal of misunderstanding in my view about what it means to be a good Christian and much of that is down to the doctrine of the church who for some reason seem to want to convince us that it is a restrictive club. It isn’t and whoever you are you are welcome on my Christian Community. I have been let down many times by the church but that is about the weakness of the church, not of Christianity and faith. We are constantly faced with endless statistics about the failings of the whole theatre of penal affairs but what does this constant airing of facts really mean? We all, apart from those with their heads totally in the clouds, know that there is a major crisis and that it is very quicklt getting worse yet nothing seems to be happening about it. Clearly there is no political will to sort out the mess, this government’s will is elsewhere, namely the creation of profitable contracts for the companies supported by the Tories. Before any actions can be taken there must be a total change in the mindset of those responsible. They must ask the question “Does prison in its present format work?” Very clearly this is a complex question and before it can be answered we first have to decide what prison is for, what are the aims and goals. There is in my submission just one area where prison does work and that is where it is used purely to detain those who are a genuine danger to the community and for whom there is no other answer. It has to be said though that this group form a very small, and I mean very small, percentage of the population. Prison certainly doesn’t rehabilitate in any form, it doesn’t act as a deterrent except to very few first time offenders and it certainly doesn’t punish so in effect we have a very expensive system which achieves very, very little. It is therefore essential that the future must be addressed by looking at the whole penal theatre and taking some very radical decisions based on reality and not using prisons as a political football and the cinderella of social services. Change is desperately needed NOW!!!! We all know how accurate Graylings statement that there is no crisis within the system is so it’s very hard to understand all the individual reports which appear in the media on an almost daily basis of violence, drugs abuse et al. In fact the reality is that the crisis is being caused not by Grayling but by George Osborne with his swingeing cuts to the prisons budget along with everything else. Grayling simply is incapable of managing the prisons with these reduced fundings. Plus of course where he should be spending time on managing the not fit for urpose system he in fact spends most of his time trying to develop contracts for G4S and Serco and companies like them thereby as ever putting profits before people. Obviously that is the Tory mantra which is why it is so important that they don’t succeed next May. The prison system needs a radical overhaul top to bottom. Firstly ALL privatised establishments must be taken back into the puiblic domain. They don’t work and never will simply because their motivation is wrong, once again profits before people, that is just morally wrong and can never be justified. Secondly there must be no more superprison complexes built. They have also been proven not to work, a prisoner is not a commodity to be stored in a warehouse. He/she is a person, an individual, a son or a daughter, a member of a family, whatever has caused them to be in custody cannot change that fact and to make any inroads into the prison population the problems of the individual must be addressed, not compartmented and forgotten. Of course the greatest reduction in the prison population will need to be made outside of the system, making better assessments of what has caused the offending in the first place and doing something about it. Meantime for the sake of the whole of society we alll have to be more caring and at least try to show more understanding. 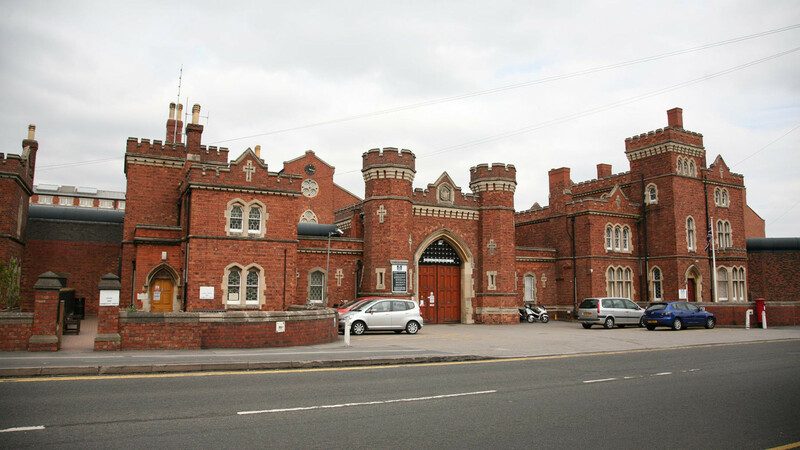 A new report published this week paints a very dismal picture of Nottingham Prison claiming it is dangerous with many incidents of violence, staff assaults,hostage situations amongst other things. None of this surprises me and it is a situation which can only get worse. All the prisons I have experience of seem to have a community feel to them where there exists at least a minimal feeling that staff are interested. For some reason this has never existed at Nottingham, rather it is a very cold and bland community. It is far too fragmented to achieve anything. Certainly there can be no legitimate claim that there is any attempt at all to rehabilitate. from the courts to be allocated to where they will actually serve their sentence, there just isn’t time for any rehab work to take place. Of course the staffing levels are a huge problem. Staff have been cut so far that it has now reached the stage where what few staff there are are hard pressed to maintain good order and discipline. It just can’t work and the prison department are kidding themselves if they think a new governor and management team will make any difference. What is needed and the only thing which will have any effect at all is a huge improvment in staff levels and a radical in training in staff attitudes. Tragic to read of yet another prison suicide, so un-necassary if only the courts would seek more information before committing vulnerable people to remand in custody. I have a great deal of front line experience in dealing with suicides in prisons having for years served as a voluntary mentor for vulnerable prisoners both on an informal basis and formally, after training, as a Listener. I have also attended a conference on the subject whilst I was in custody so I do know what I am talking about. Seemingly strong people can be broken down emotionally by the experience of custody, it doesn’t just affect the obviously vulnerable. When a guy, or girl, is faced, as many remand prisoners are, with a situation which is alien and fearful to them they are already vulnerable but then add the uncertainty of what is facing them and they in most cases become an acute suicide risk. It only takes the feeling of otal isolation to tip them over the edge. Sadly there is no solution to this problem which is likely to get worse. It certainly is totally inadequate to simply ask an inmate on reception if he has any record of self harm. Far more thorough assessment is necessary but of course a thorough assessment requires staff and the prisons are so short staffed at present that that will never happen. When a suicide occurs it has a huge effect on the establsihment it has occurred in. The prison/YOI goes straight into lockdown causing even more tension throughout. The staff dealing with it on many occasions are deeply traumatised, and that is just inside the establishment. The MoJ must put more effort into addressing the problem, it is very serios and tragic in evey respect and will not be helped by constantly reducing staff levels nor building giant superprisons which are little more than holding warehouses for offenders. I actually describe what it is like to find a prisoner attempting to hang himself in my book A LIFE OF SENTENCES and believe me it is not a pleasant experience.